Hi Friends! I’m for real now with my blog here. It took me a little bit to get used to WordPress, but I’m liking it! I have made a bit of progress on knitting my stash. 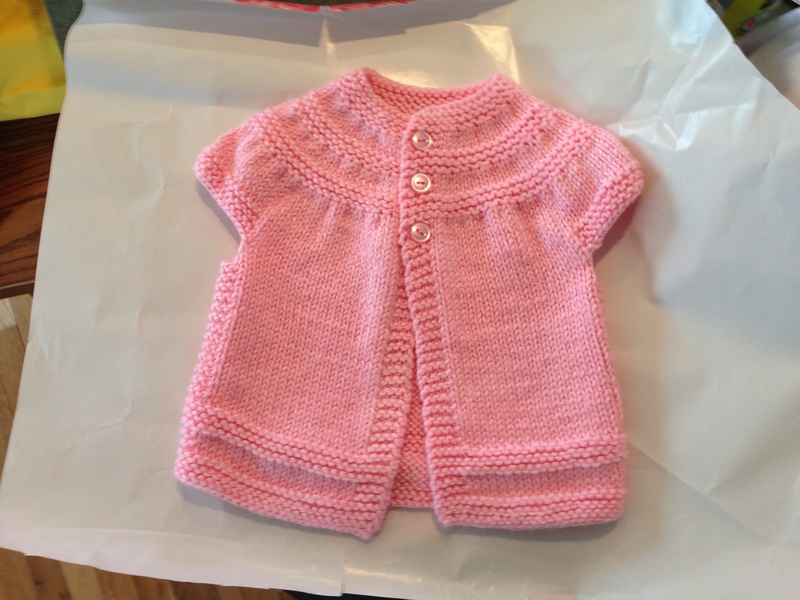 I finished that sweet little pink “In Three’s” cardigan for a very special little baby girl. 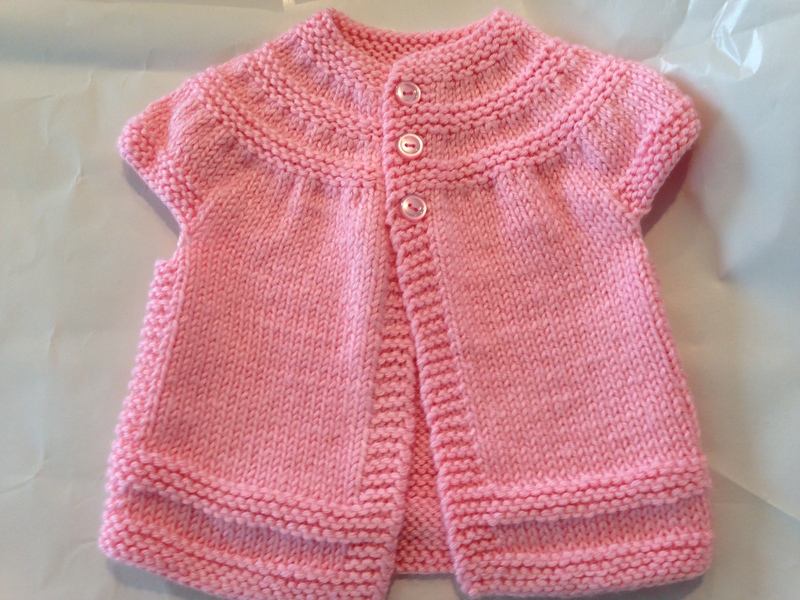 I seriously would be happy to have one of those precious cardigans on my needles all of the time. I just love it. The Vanna Lion Brand yarn, acrylic, is a nice one to use for gifts like this because it washes easily and is a nice, soft, durable yarn. Go to Ravelry and find “In Three’s,” you won’t be disappointed. This is definitely beginner friendly. Don’t you just love this pattern? Beautiful work! I really do!! Thanks for stopping in!